Batch 18 of Qira’at level 1 has started at Maafushi Prison, today. 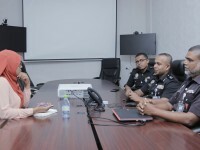 This program conducted by Institute for Correctional Studies (ICOST) in association with Institute for Qur’an and Sunnah is programmed to continue for 8 weeks. The program targets inmates those who want to study and build their careers in the Field of Qira’at. Purpose of this program is to guide them build their career and to assist them go further in their interested fields. 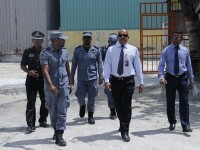 The program is held at Maaafushi Prison, on all weekdays, except for Fridays and Saturdays. ICOST conducts various programs targeting inmates as part of their rehabilitation. This program is held by Institute for Correctional Studies (ICOST) in association with Institute for Qur’an and Sunnah. 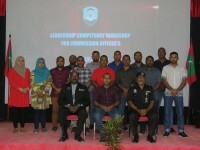 Institute for correctional studies (ICOST) has held a leadership competency workshop for commissioned officers, yesterday. 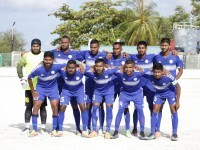 10th batch of Qira’at level 2 starts in Maafushi today. Male’ Prison has held a dinner night to celebrate its 11th anniversary, tonight. Asseyri prison has held a flag hoisting ceremony to celebrate its 10th anniversary, yesterday. 17th batch of Qira’at level 1 has started at Asseyri Prison today.